Feeding your horse supplements like Equine Cortaflex should be part of the joint care that you give to your animal especially when it comes to the winter season. There are many things that you can do to keep your horse warm and stop its joints from stiffening up when it gets extremely cold. Keeping horses is extremely expensive and anyone who has more than one will definitely feel the costs during the winter months, because they will need to invest in extra bedding for their animals. · When considering the type of bedding that you want to use it is important to have straw rather than shavings, because this will enable you to make a deeper bed and also keep your horse warmer. · A nice thick overcoat is also important and if your animal likes to chew through it then you may want to buy a more rugged design. · It is also important to stretch their legs, back, and neck every day to relieve any muscle swelling and stiffness. 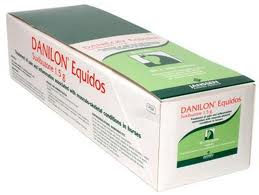 · You can also use products like Danilon that can help reduce any inflammation of the joints and muscles. This is a powerful drug and is only available through prescription from your local vets. Once you do have the prescription you can buy this product online therefore saving you more money. · Using natural supplements like glucosamine, omega oils, and garlic will also help with their joints through the winter months. These are just a few tips for anyone who is looking to limit the damage that cold harsh winter months can cause to a horse. By following these simple methods you can limit the amount of discomfort that your animal will face and they will have a more natural diet. 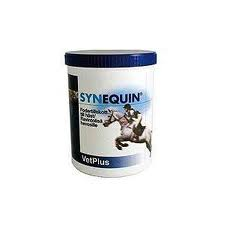 Lastly for those animal lovers who also have dogs and cats and are looking to get supplements for their joints as well, you should also look at Synequin. There is no need for a prescription and it can be fed into their daily diet. The cold months can really be punishing to a horse so its important to give then a warm bedding and area and apply creams to keep them warm. I'm more familiar with straw as bedding than shavings. Your post reminds me of the expenses that go with keeping a horse. My friend's daughter wants one, aside from wanting to live in a ranch (lol) and he's backing off at the costs. Now it's clear to me again why. Caring for these horses are very expensive and those who prefer to raise them really have the funds to keep them healthy and provide the proper care. These elegant, spirited creatures really need a lot of tending to. They're quite expensive to have :/ Nonetheless, all worth it! Although we do not own a horse (how I wish we have one right now), this product is something essential for horse owners for their their pets longevity.